Low glycemic foods are less likely to cause blood sugar increases, which translates to more energy, less food cravings, and many other health benefits. Low glycemic foods are generally low in simple carbohydrates. Simple carbohydrates cause blood sugar to elevate when glucose enters your bloodstream too quickly. When possible, choose organic foods. 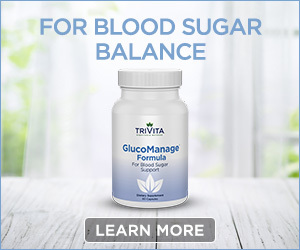 If blood sugar is a problem for you, consult your physician. Make vegetables the bulk of your diet and eat them every day. Limit fruit to no more than 2 pieces per day. Nuts & Seeds: Sunflower Seeds, Flax Seeds, Sesame Seeds, Pumpkin Seeds, Walnuts and Almonds. Eat a handful 2-4 times daily. Beans & Legumes: Lentils, Soybeans (fermented is best) , Kidney Beans, Pinto Beans, Lima Beans, Black Beans, Navy Beans, Garbanzo Beans, Tofu and Dried Peas. Hummus is a great alternative. Eat 1 cup daily as a main staple of low fat protein, nutrients and fiber. Grains: Oats, Rye, Quinoa, Sorghum, Millet, Brown rice, Whole Wheat/Whole Grain and Buckwheat. Eat 1-2 cups daily. These are all excellent sources of protein. Eat 6 oz, 4 times per week. Free Range and Grass Fed Dairy & Eggs: Eggs, Greek yogurt and Goat’s Milk. Consider a healthier alternative to milk such as unsweetened Almond Milk. Eat 4-6 ozs, 1-4 times per week. Avoid processed forms of these meats. Use to taste. When using salt, use Himalayan or sea salt. Consume 2-3 tablespoons oil daily. Use high-oleic safflower oil, coconut oil or avocado oil for cooking. All other oils have a low-smoke point, which can cause the formation of free radicals. Avoid frying all together. Instead broil, poach, steam and healthy sauté. Healthy sauté is using chicken or vegetable stock in place of oil. It is a much better way to cook than traditional frying and preserves the nutrients of the food. TriVita VitalityPlanner is an online guide that helps you take control of your everyday quality of health and wellness and mitigate potential health risks based on lifestyle, age and gender. Robert Sheeler, M.D. is Board Certified in Family Medicine, Integrative Medicine, Holistic Medicine and Urgent Care. He is certified in Functional Medicine by the Institute for Functional Medicine and as a Headache Specialist through the United Council of Neurologic Subspecialists. His special interests include food and nutrition, Functional Medicine, headache care and Integrative Medicine. In addition, Dr. Sheeler is a certified teacher of Evidence Based T’ai Chi and Qi Gong and has studied numerous mind-body disciplines. *Disclaimer: TriVita VitalityPlanner is not a diagnostic tool. It is a predictive analytical tool based on your lifestyle behaviors, age, gender, and family history. If you have current health conditions, we encourage you to contact TriVita Clinic of Integrative Medicine or your existing primary care physician. ©2019 TriVita. All Rights Reserved.